Penelope J. Stokes. The Blue Bottle Club. Nashville, TN: W Publishing Group,1999. The year 1929 is coming to an end, and most people in the United States have started to feel the dreadful onset of the Great Depression. For four young women in Asheville, North Carolina, everything in their lives is uncertain except for one thing: their dreams. Letitia Cameron dreams of marrying the wealthy and well-connected Philip Dorn and having a large, happy family. Adora Archer has set her sights on becoming a successful actress in Hollywood or on Broadway. Eleanor James, who has lived a privileged life thus far, hopes to become the next Jane Addams as a social worker. Mary Love Buchanan wishes to follow her talent as an artist. The four commit their dreams to paper and stuff the pieces into a blue bottle stored in Letitia’s attic. No matter what happens in the coming days, the friends will always have their dreams – and each other. Sixty-five years later Brendan Delaney, a news anchor for WLOS, is at the Cameron House reporting on its upcoming demolition. She thinks that it is just another dead-end story until a worker discovers the blue bottle. This discovery renews Brendan’s passion for investigative journalism, and she sets out to find Letitia, Adora, Eleanor, and Mary Love to learn how (or if) they fulfilled their dreams. Filed under 1990-1999, 1999, Buncombe, Mountains, Religious/Inspirational, Stokes, Penelope J.
Katy Munger. Money to Burn. New York: Avon Books, 1999. Sassy P.I. Casey Jones takes a job bodyguarding a tobacco scientist who has been receiving death threats. When he’s killed after only one day on the job, Casey takes it personally. She’s just considering looking into his murder when his fiancé hires her to find out two things: first, was he cheating on her before his death, and second, did her rich tobacco magnate father have him killed. Her complicated investigation takes her into the some very different settings, including Triangle high society and the rural countryside. This is the third book in the Casey Jones mystery series. Joyce and Jim Lavene. Last Dance. New York: Avalon Books, 1999. It definitely isn’t Stephen King, but the plot of Jim and Joyce Lavene’s Last Dance does feature a girl named Carrie whose prom experience is less than stellar. In fact, Carrie Sommers, prom queen of Diamond Springs High School, is murdered in the school’s parking lot. Sheriff Sharyn Howard believes that the case is similar enough to a prom-night murder that her father investigated 10 years ago that she reopens the old case. With the original murder suspect on death row, local and state politicians getting involved, and her mother worried about damage to her father’s reputation, Sharyn has her hands full in this book, the first of the Sharyn Howard Mysteries set in the fictional Uwharrie Mountain town of Diamond Springs. Ann B. Ross. Miss Julia Speaks Her Mind. New York: William Morrow, 1999. The very proper Julia Springer doesn’t believe in speaking ill of the dead, but her husband’s sudden demise leaves her in a difficult position. She finds out that her stingy husband of more than forty years was actually quite rich and, since there is no will, she inherits every penny of his money. However, her unexpected windfall brings out the worst in some of her small-town neighbors, including a pastor who tries to get the money by proving her legally incompetent. The widow also inherits something else unexpected: her husband’s illegitimate nine-year-old son. As if this weren’t enough to keep Julia busy, she also faces a strange televangelist, a robbery, and a kidnapping. Filed under 1990-1999, 1999, Henderson, Humor, Mountains, Novels in Series, Novels Set in Fictional Places, Ross, Ann B.
Roy E. Young. The Governor’s Prisoner. Fayetteville, NC: Old Mountain Press, 1999. Even a good man can make a bad mistake. When a drunken college student runs a stop sign and kills Wadus Strickland’s son, Strickland responds by beating the driver and his passenger with his son’s baseball bat. The driver has political connections and Strickland doesn’t mount a defense, so he is sentenced to twenty six years in Central Prison. This is meant to be hard time, but Strickland’s personal disciple, open-mindedness, and wisdom help him navigate prison life. He does well when he is assigned to work at the Governor’s mansion, and he becomes involved in the life of the governor and his family. This is more than the story of one man’s redemption; it is a novel of how one person’s positive influence can reshape the lives of many people. Filed under 1990-1999, 1999, Piedmont, Religious/Inspirational, Wake, Young, Roy E.
Charles Price. Freedom’s Altar. Winston-Salem: John F. Blair, 1999. Set in the violent, lawless days just after the Civil War, this novel explores the deeply complicated questions about how the South would recover and adjust to new ideas about race and class. Daniel McFee, a former slave who had fought for the Union, has returned home to western North Carolina to become a sharecropper on land owned by his old master, Madison Curtis. Despite good intentions, both Curtis and McFee have trouble adjusting to this new relationship. It’s especially hard to make any meaningful progress when the whole region is overrun with violent vigilantes all too willing to take matters into their own hands. 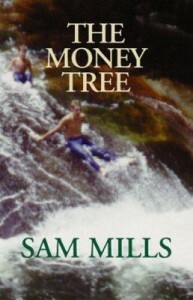 The novel is based in part on the author’s family history. Freedom’s Altar won the 1999 Sir Walter Raleigh Award for the best novel by a North Carolinian. Gail Godwin. Evensong. New York: Ballantine, 1999. Evensong, a sequel to the 1991 novel Father Melancholy’s Daughter, continues the story of Margaret Gower, an Episcopal rector in High Balsam, N.C., a fictional community in the Blue Ridge Mountains, not far from Mountain City, based on Asheville, where Godwin grew up. Set over a four-week period in 1999, Evensong chronicles a difficult time in Gower’s life as she questions both her marriage and her faith. Judy Goldman. The Slow Way Back. New York: William Morrow, 1999. Thea McKee is a woman with a successful radio call-in show in Charlotte, N.C., when she receives in the mail a packet of letters written by her grandmother more than 60 years ago. As she seeks help understanding the letters — they are written in Yiddish — Thea reflects upon three generations of her Southern Jewish family. The letters ultimately reveal family secrets that allow Thea to resolve long unanswered questions about her childhood. The Slow Way Back won the 2000 Sir Walter Raleigh Award for the best work of fiction by a North Carolina writer.